Honestly, would you ever light this? It is so detailed and turtle-like I couldn't bring myself to do it. 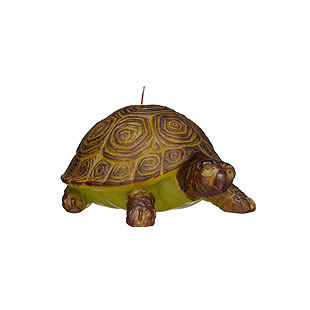 Turtle candle from designer Sophie Labayle Mitchell. Get it at moss online, also available - hot tropical frog.